The pics I have seen are also from Instagram. Everything I’ve heard is it includes a belly pan and works with the side stand. I’m hearing mid to late March but don’t have a hard delivery date yet. 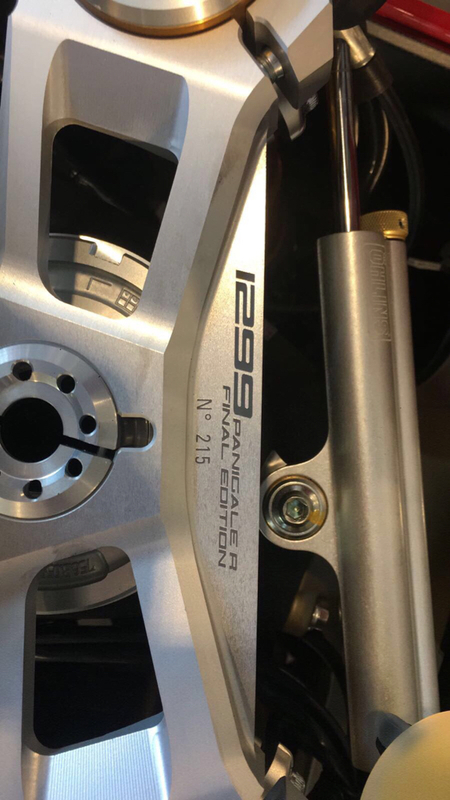 FYI - Just got a call that the race exhaust for the 1299 R FE has shipped. Anyone else hear the same? NICE!!! I haven’t heard anything from my dealer. Now showing April, which I was told can change at any time. Maybe you’re the first! Have the new BST's coming? Exhaust arrived today. I plan on getting it installed this weekend. What did she cost in the end? And congrats! That FE that Troy Bayliss raced in the ASBK on Phillip Island was pretty cool. Sweet!! Post some pics once you get it back!